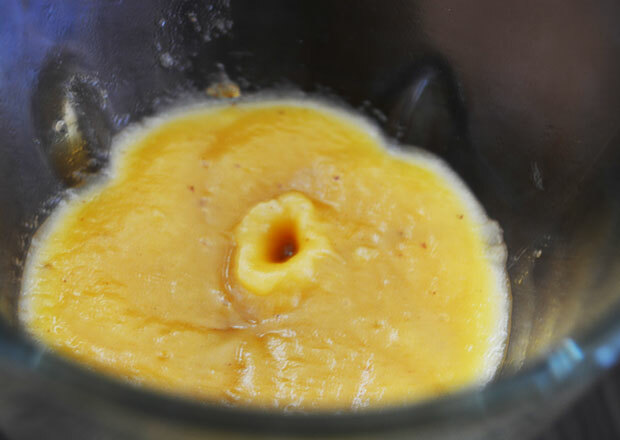 Apple Sauce Recipe - this yummy and healthy apple sauce is easy to make. If you have more apples left in the house you can make Apple Halwa or Apple sauce. 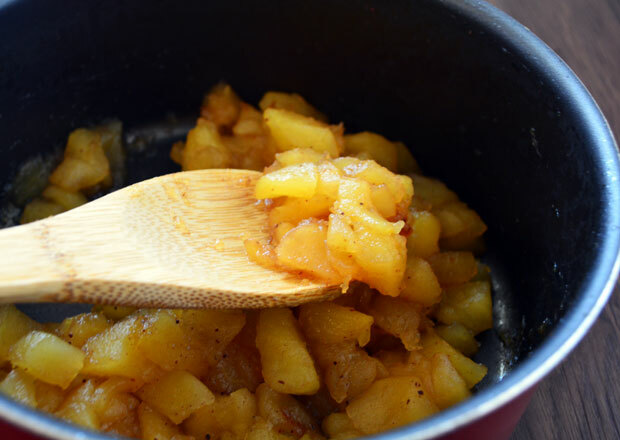 I have posted apple halwa recipe , which you can go to the page by clicking apple halwa Kids will love the apple sauce . My two and a half year old toddler liked it very much. 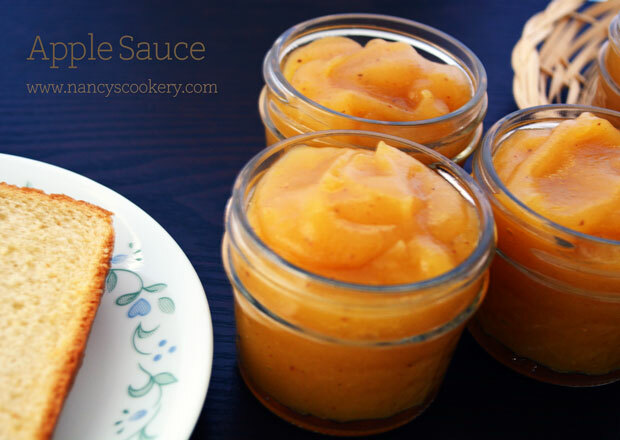 Just add the Apple sauce instead of the regular fruit jam for bread or you can eat it as it is. 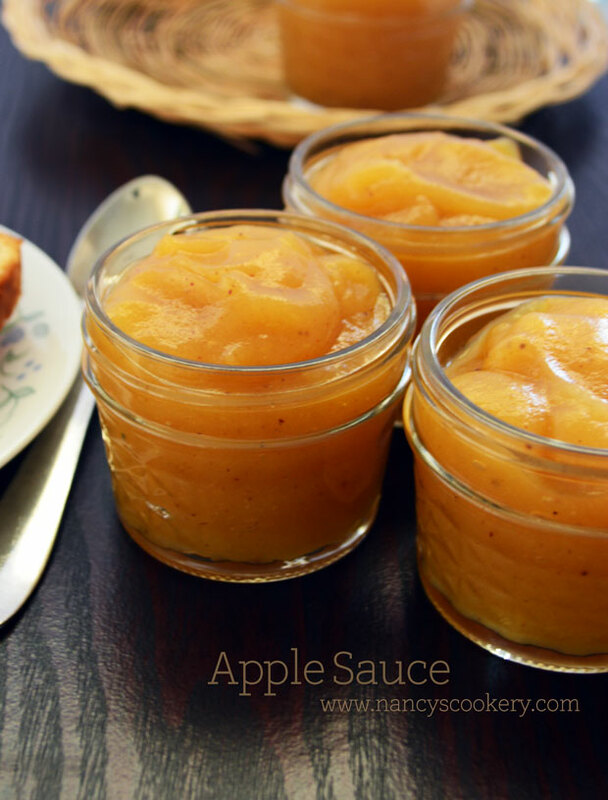 The Apple sauce can be substituted in place of fruit jams and honey. Eating Apples reduce the risk of Alzheimer's disease, Parkinson's disease, tooth decay, gallstones, diabetes, cholesterol and more.. Apples help to control your weight and reduces the risk of cancer. Apples have more health benefits. Peel, core and chop the apples into cubes. 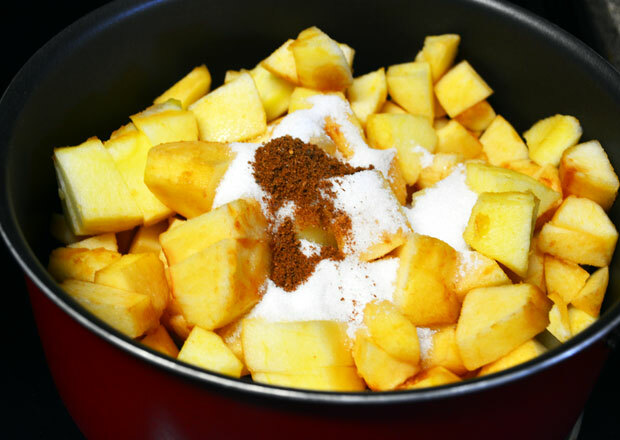 Take apples, sugar, cinnamon powder and water in a saucepan and heat in medium to high flame. 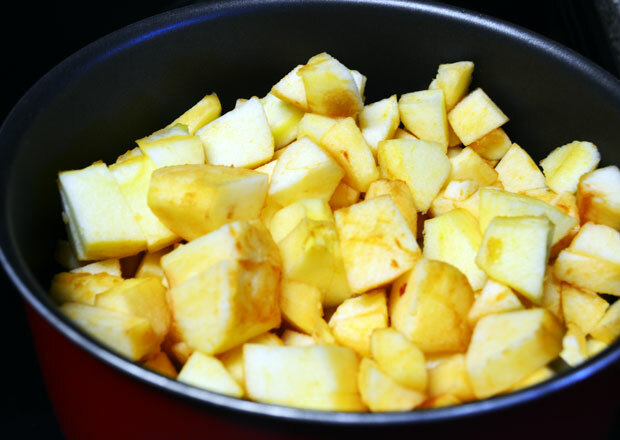 Cook the apples covered for 20 to 25 minutes with occasional stirring in high to medium heat. 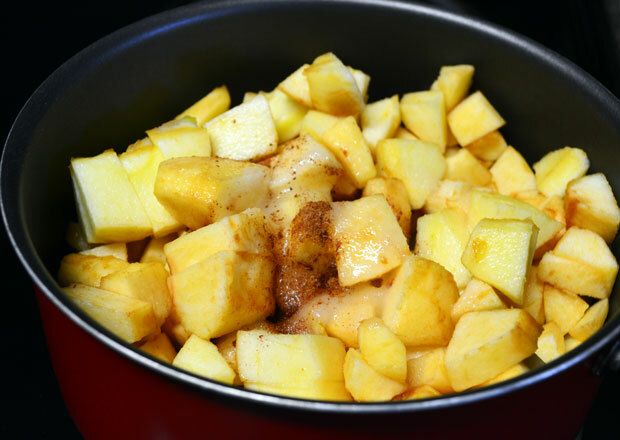 Remove the apples from heat and blend it to required consistency in blender. Peel, core and chop the four large apples and add it to a saucepan. 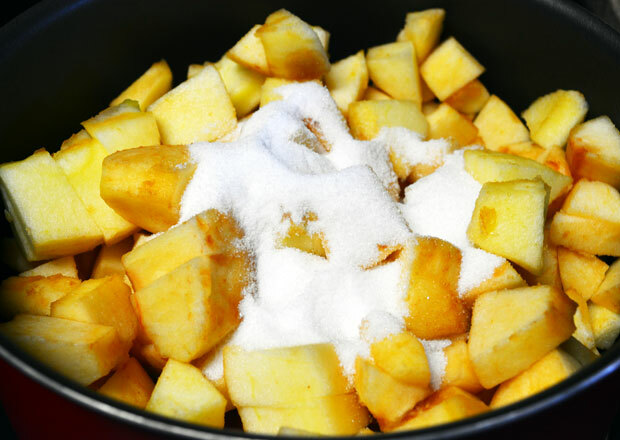 Put 1/4 cup sugar to the apples in saucepan. Now throw 1/2 teaspoon cinnamon powder into it. I didn't had ground cinnamon at home. So grounded the whole cinnamon in blender. Pour 3/4 cups water into the saucepan. All the water will be absorbed in the end. Stir in everything in the saucepan with a laddle. 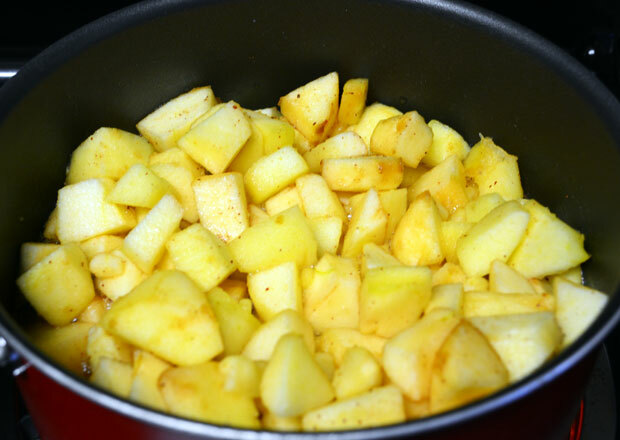 Now cover and cook the apples for 20 to 25 minutes in medium to high heat. In the end you will get something like in the picture with apples cooked. 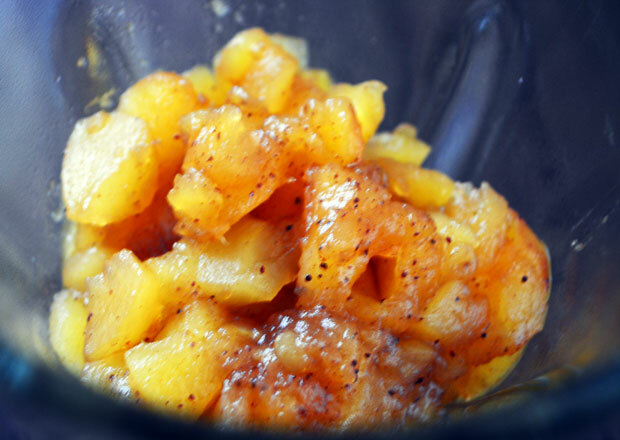 Remove the apples from heat, cool the apples and put it in the blender. I blend it well to a fine paste of apple sauce. You blend it to your desired consistency preferred to use. Store the remaining apple sauce sauce in refrigerator for later use. Adjust the sugar level according to the sweetness of the apple. I used 1/2 cup sugar, because we love sweet apple sauce. If you don't prefer much sweet just add 1/4 cups or lesser sugar to the sauce.